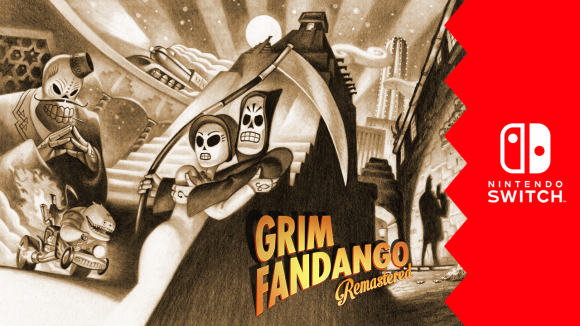 Tim’s legendary adventure game Grim Fandango turned 20 this week! 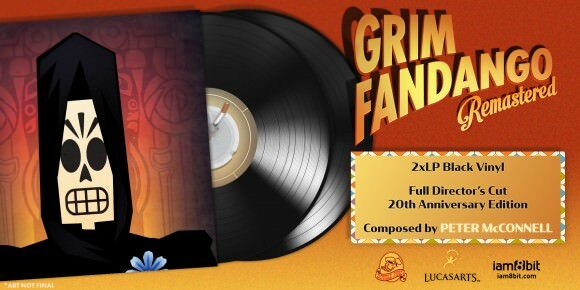 To celebrate we’ve partnered with our friends iam8bit and LucasFilm to release a a physical edition of the game for PS4, and a vinyl soundtrack, both shipping early next year. The special physical edition is region free for PS4. It has a fancy cardboard outer sleeve featuring the new artwork Peter Chan created for the remastered release, and the game case itself has reversible artwork from Lee Petty and Holly Rothrock. Inside the case you’ll find a golden train ticket for the Number Nine, which will take you all the way to the land of eternal rest speedily, and in style. 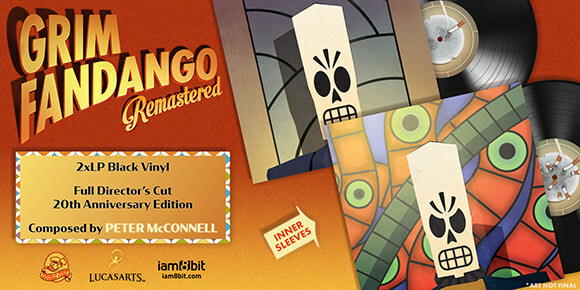 The Grim Fandango Remastered Vinyl Soundtrack is a special 20th Anniversary Director’s Cut from Peter McConnell, spread across two LPs, and featuring the many faces of Manny on a special Die-cut record sleeve. 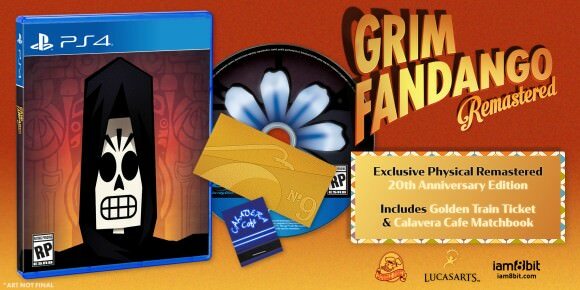 Both Vinyl Soundtrack and Physical Edition will ship early next year, but you pre order today from Iam8bit! Pick it up today from the Nintendo eShop, or hold on tight for the physical version, coming soon from Limited Run Games! GNOG is out today for PC and Mac! KO_OP’s vivid multicolored puzzle adventure game GNOG is out today for PC and Mac, with VR support for Rift and Vive! GNOG is one of our Double Fine Presents titles; a 3D tactile puzzle game that’s a virtual toy filled with happy, colorful kaleidoscopic secrets. Players explore a series of worlds, each with stunningly vibrant visuals accompanied by entrancing beats from composer Marskye (Boyfriend Dungeon). Each level takes place inside a uniquely charming and delightful monster head, waiting to be prodded, poked, grabbed, pulled, and flipped around to reveal all the stories and mysteries within. Fill your screen with the vivid world of GNOG on PC or Mac, or get some face-to-face time by immersing yourself in VR. Either way, get ready to turn some heads! Pick it up today for a 10% discount, and note that GNOG is already available PS4, PSVR and iOS with AR support! Watch the E3 trailers for Knights and Bikes, and Ooblets! 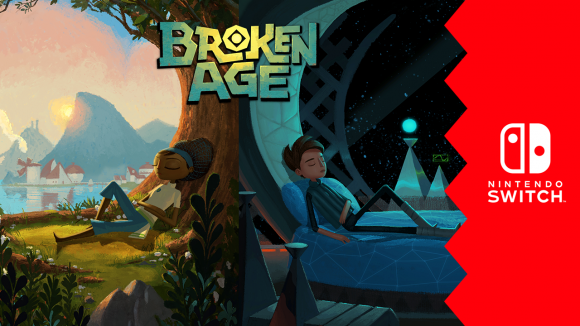 At E3 we debuted two new colorful trailers for two forthcoming colorful games, watch them both below! 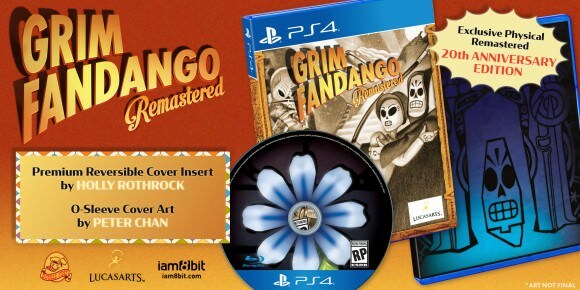 We are very excited to say that we are working to bring Grim Fandango Remastered and Broken Age to Nintendo Switch! More info soon!